The all-new 2018 Ford Mustang is living proof that it’s better to burnout than fade away. Sizzling into showrooms this fall, the new Mustang will make burnouts a breeze for any muscle car enthusiast. How? It’s all about a new standard feature on all trims of this sports car staple. Want to see how you’ll leave the lot up in smoke when you peel out in your new Mustang from County Ford? You’ll have to read on to find out. Push the clutch, put the transmission into first gear, step on the gas, let off the clutch, and witness 15 seconds of unbridled fury. From general adrenaline junkies to Ford Mustang fanatics, everyone can appreciate a good burnout. And when the all-new Mustang debuts this fall, squealing tires and blowing smoke will never feel so accessible. 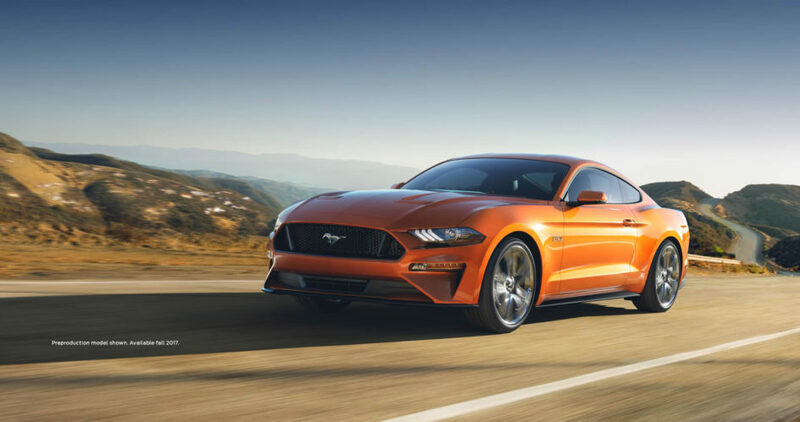 The 2018 Ford Mustang isn’t available yet, but you can contact our team to learn more and stay updated. Follow us on Facebook to make sure you’re ready to burnout when we roll out the new Mustang at County Ford.